Advocate Barry Roux will defend controversial religious leader Prophet Shepherd Bushiri and his wife, Mary, who stand accused of money laundering and fraud, The Sowetan reports. 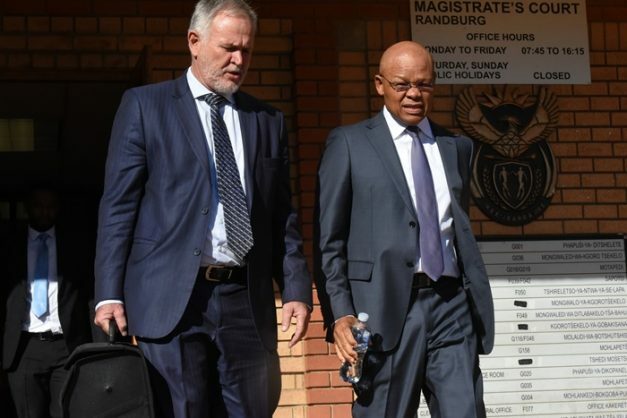 The advocate, best known for his role in the convicted murderer and former Paralympic athlete Oscar Pistorius’s defence team, has been back in the news, with this being the second high profile case he’s taken on recently. AfriForum recently announced that Roux would lead the appeal process of two Coligny men convicted of killing a teenager for stealing sunflower seeds. Roux’s role in the appeal will see him working together with advocate Gerrie Nel, the prosecutor he famously faced off against during the Pistorius trial. It was reported on Monday that the case against Bushiri and Mary was been postponed to Wednesday, February 6. The followers expressed outrage at the arrest, casting aspersions on the validity of the charges. Many devotees labelled the arrest of Bushiri and his wife a “persecution”. The self-proclaimed prophet’s Enlightened Christian Gathering (ECG) church was the scene of a tragedy on December 28, when three women were killed in an apparent stampede during a service. Nine other congregants were injured as they ran for shelter during a heavy rainstorm. Bushiri said the inadequate presence of the City of Tshwane’s law enforcement was to be blamed for the stampede. The CRL Rights Commission ruled that Bushiri’s service, at the Tshwane Events Centre, was fully compliant with municipal bylaws and the Safety at Sports and Recreation Events Act (SSRE Act).